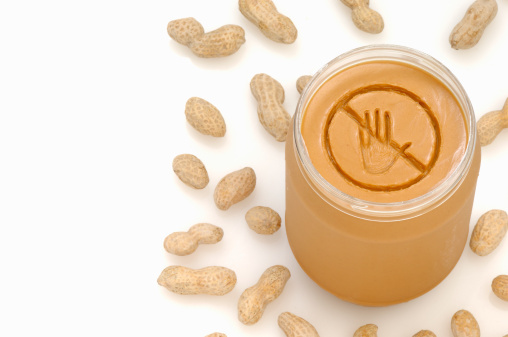 5 Myths about Food Allergies—Debunked! Home » Food and Nutrition » 5 Myths about Allergies—Debunked! There are a lot of misconceptions about allergies that have accumulated over the years. But how can you be sure what’s true and what’s not? Let’s take a look at five allergy myths and how they could adversely affect your health decisions. Myth #1: If I’m allergic to eggs, I can’t get the flu shot. Many people who would benefit from the flu shot avoid getting it because they have an allergy to eggs. It was thought that because egg embryos are used to grow viruses for vaccines, it was unsafe for people allergic to eggs to get the flu shot. However, scientists now know that it is safe for many people who are allergic to eggs to go and get the flu shot. Make sure your doctor knows about your allergy and how severe it is. An allergist can also test to see how allergic you are to the flu shot under controlled circumstances. If you’re okayed for the flu shot, your doctor will get you to remain in the waiting room for at least half an hour to make sure you have no reaction to the vaccine. Myth #2: I can’t have a CT scan because I’m allergic to shellfish. To perform an accurate CT scan, iodinated contrast is often used for better imaging. Some physicians have linked iodinated reactions in patients with a shellfish allergy. Shellfish is known to contain iodine. However, scientists have determined that a shellfish allergy doesn’t cause a reaction to iodinated contrast. Iodine is found in the human body and is not considered an allergen. Myth #3: I have a gluten allergy and can’t eat bread. True, a gluten allergy is rare—this is different than being sensitive to wheat or choosing to go gluten-free. It may not be necessary to avoid all sources of gluten if you have a sensitivity to gluten. You may find that the gluten present in oats or rye, for example, poses no problems for you in the form of unpleasant symptoms. Myth #4: If I “feel bad” after I eat a food, I’m allergic to it. A food allergy involves a very specific immune system response. Two types of immune system cells—immunoglobulin E (IgE) antibody and/or T-cells—are involved in an allergic reaction. These two cells react to a protein in a specific food. During a true allergy, an IgE reaction happens within an hour of smelling, touching, or eating a certain food. If the immune system reacts as if it’s being attacked, histamine is released. It is histamine that causes many of the classic symptoms of an allergic reaction, including: itching, hives, and trouble breathing. “Feeling bad” is a very different process and may manifest itself hours after ingesting a food. These reactions are not tied to a specific protein. For example, you may find you experience a digestive upset after eating cheese but that you are fine when you have ice cream. Both foods are made from dairy, so it is unlikely that the symptoms you experience when eating cheese are due to a genuine allergy to dairy. If you were allergic to dairy, your immune system would react to milk proteins no matter what food they were contained in. Myth #5: I can test myself for allergies. A lot of people are now self-diagnosing their allergies. However, many allergies are sensitivities, leading to misinterpretation of symptoms. Cutting out whole food groups because you think you might be allergic could put you at risk for nutritional deficiencies. Instead, ask your doctor for a referral to an allergist to find out what’s going on. “Defining Allergy Fact from Fiction,” Science Daily web site, Nov. 7, 2013; http://www.sciencedaily.com/releases/2013/11/131107093830.htm, last accessed Nov. 22, 2013. Woznicki, K., “Food Allergies: 5 Myths Debunked,” WebMD web site; http://www.webmd.com/allergies/features/food-allergy-myths; last accessed Nov. 21, 2013.